Montrose Colorado is hosting its first ever film festival! The Montrose Downtown Authority is proud to host this event as films will be screening at venues such as 2 Rascals Brewery! So be thirsty fellow Montrovians* and come with palette ready to be inspired by Adventure! We woke up on a Saturday in the late am with a 6″ blanket of fresh snow and blue bird conditions. 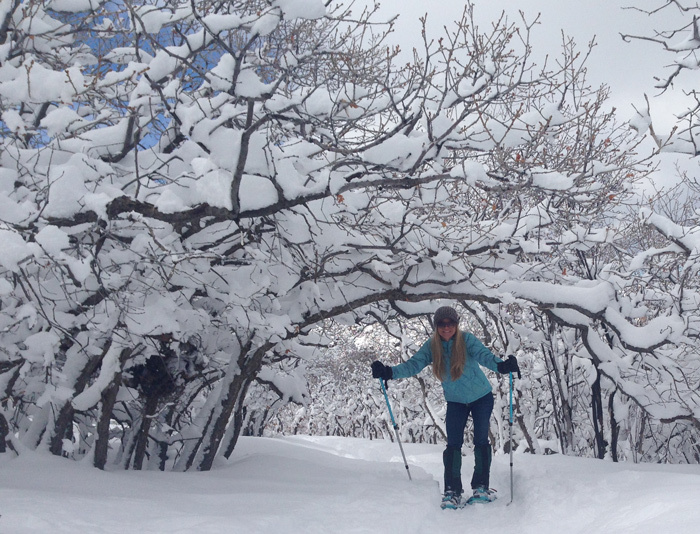 We decided to take the alternative route; as skiers and snowboarders charged up to Crested Butte and Telluride to get some fresh tracks, we did the same but with snowshoes! 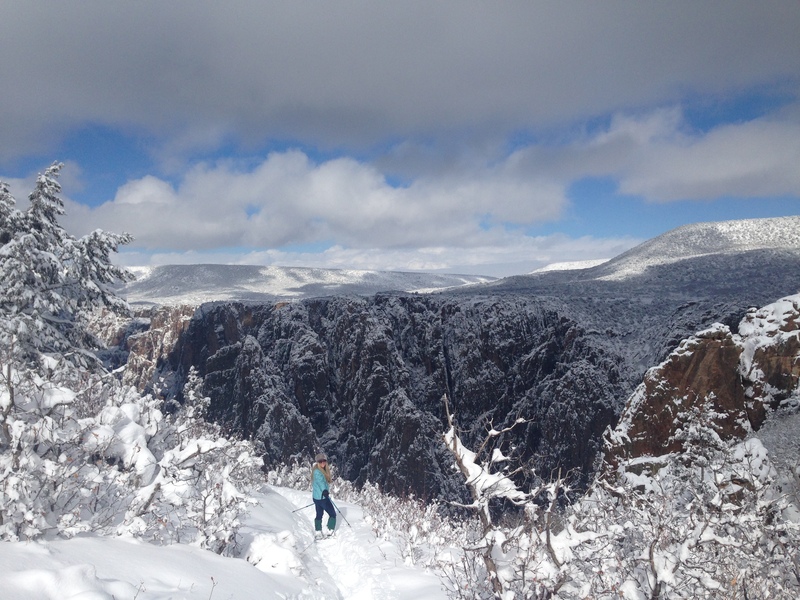 But our destination was the 2 mile loop cresting the edge of the Black Canyon. With about a 20 minute drive from Montrose Colorado, this adventure is exceptional considering the short drive. 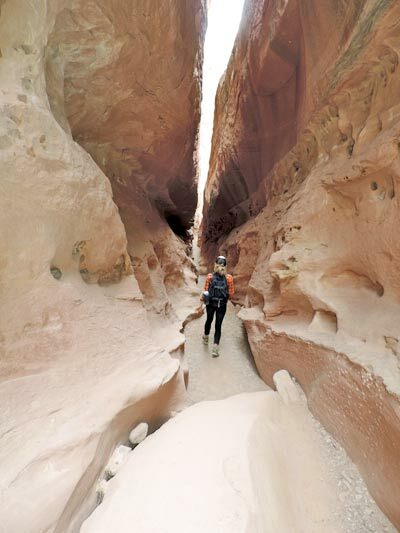 Heading clockwise, this trail began with a steep traverse down into a the canyon. I was surprised how steep the traverses actually were. Poles were a must. As we finished our decent, we could look up at the walls of the observation center and the sun baked sandstone. We continued through beautiful oak brush tunnels with powder perched upon them. The best views were looking across and down toward the river and the pre-cambrian painted walls. 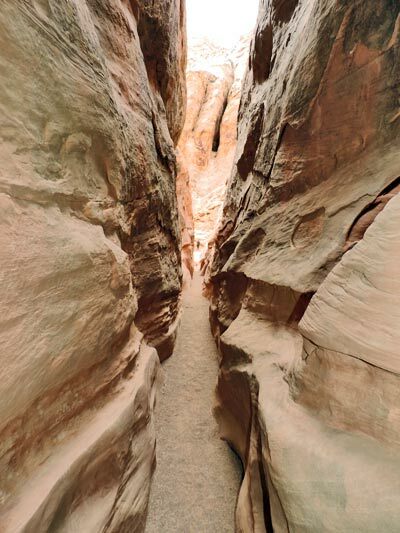 A wild mixture of rose quarts and schist rock create this amazing view as well as the rivers woven path through the deep canyon passage. 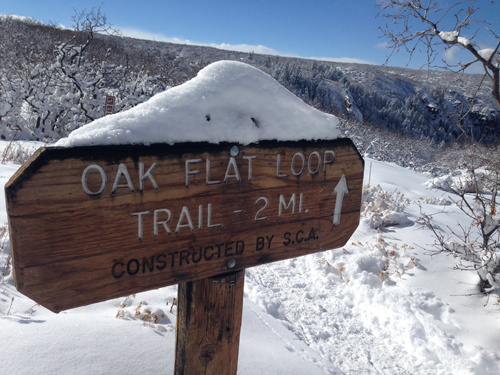 The loop took about 1.5 hours to complete as the fresh snow and breathtaking views slowed our pace. 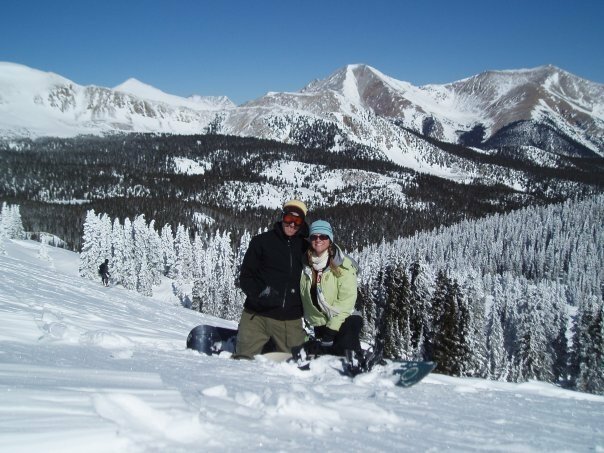 Monarch Mountain is a quaint and remote ski “resort” that sits on the continental divide about two hours east of Montrose Colorado. The term “resort” is relative in that this is not necessarily a destination ski-in ski-out poo-poo noses-up kind of place. 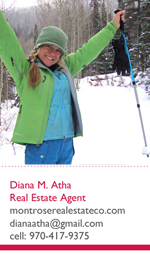 Monarch Mountain dubs itself ,“Real Colorado Skiing”, and I am one to agree. There are not many places left where you can see a local carving slow s-turns in Carhartt coveralls. There are also few places left with small lift lines. Even on a powder day, lift lines are minimal here. 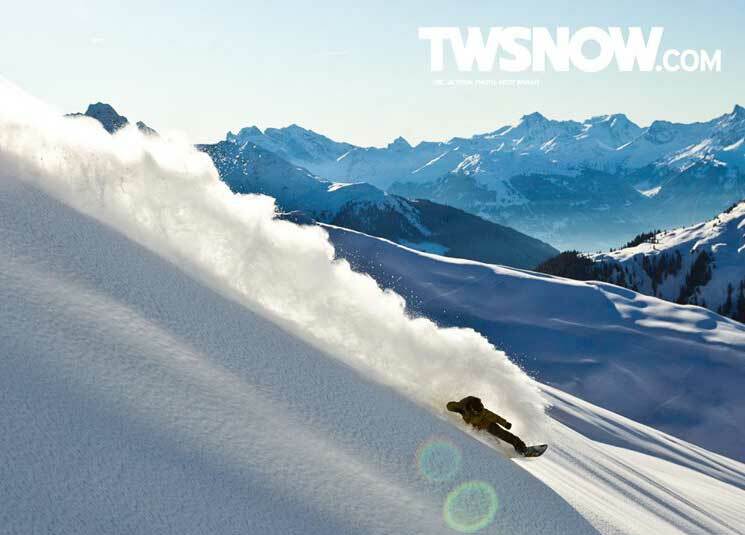 The terrain has limits (unless you book a cat skiing trip with them), but the powder is limitless. I especially enjoy the advanced lift. After tracking out all the powder on the upper mountain, the advanced lift terrain ALWAYS has freshies in the secret stash spots sometimes even days after a storm. I love the fact that we can sleep in and still get semi-fresh tracks. What’s this winter’s snow forecast (rumors) for South West Colorado? Frequent precipitation – Due to changing H20 temps in the Pacific North West. The Pacific H20 temp. change may result in active jet streams moving further south bringing multiple-week snow storm patterns. With striking views and the ability to explore the historic mining operations of the Neosho mine, this 1/2 day hike should be on your must-try list! The trail brought us to the old house that sits across the gorge from highway 550 (Million Dollar Highway). You might have spotted this old cabin on the Ouray side of highway 550 and Red Mountain Pass. 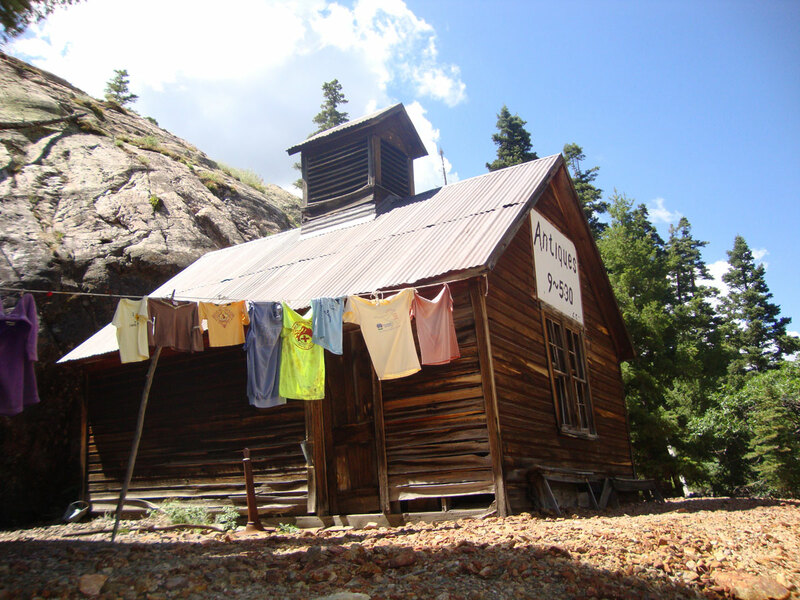 A sign on the cabin reads “Antiques” and it has laundry hanging out in front of it! We’ve seen this cabin for years across from the Million Dollar highway and always wondered how to get there! The Sutton Mine Trail is the ticket to this hidden destination. The trail-head begins next to the Ouray Ice Park and and is well maintained. The first 1/2 mile is comprised of steep switchbacks. The trail then does some leveling-off into Pine tree groves, Aspens, and fields of wildflowers. You will see views of the Million Dollar Highway as well as the Ouray Amphitheater during your hike. My favorite part was when we finally reached the mine. 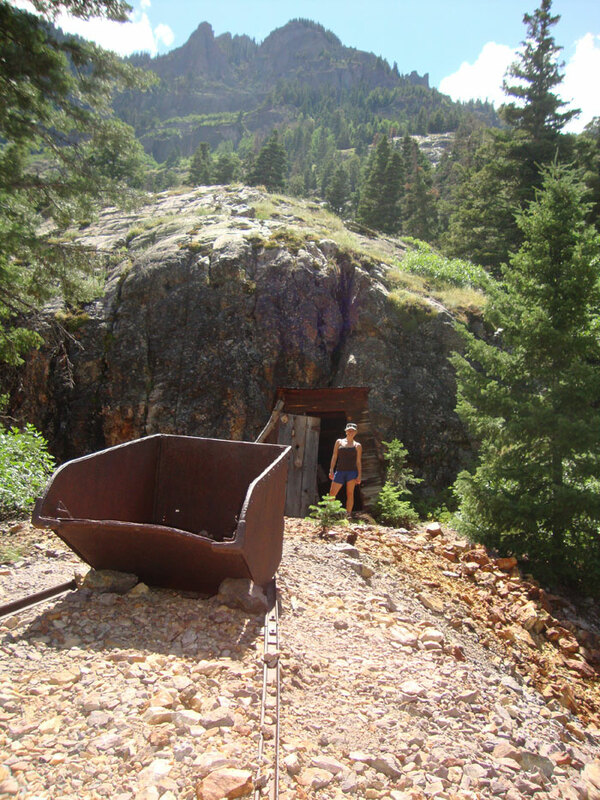 The old mine carts, living quarters, and abandoned mine caves will bring you back to your childhood exploration days. We also spotted two old car wrecks from the old cabin. The cars had gone over the edge of the Million Dollar Highway some time ago with only rusty wreckage left above the Uncompahgre River. Scary.